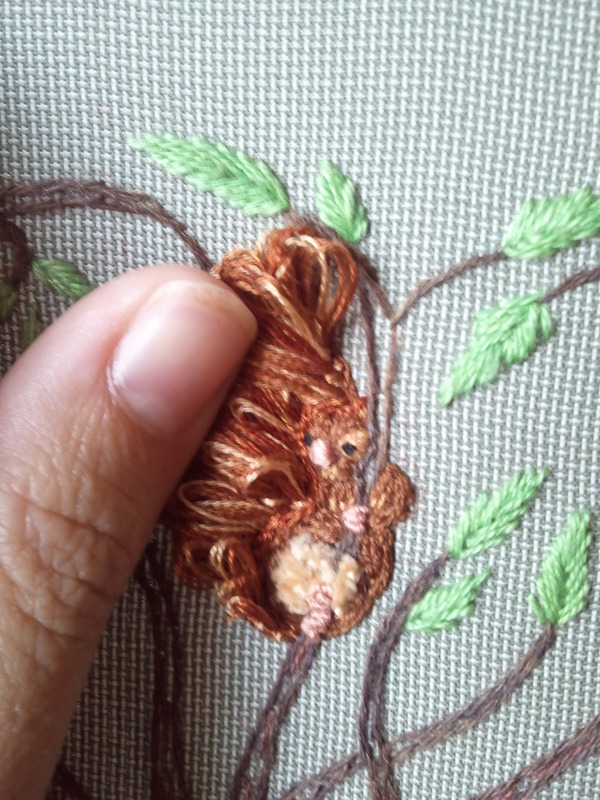 Much happier with the Turkey work on this squirrel than on the experimental mice. Thanks to all the suggestions from everyone, I padded his face with felt to get more dimension so that his tail wouldn’t overwhelm him completely. Then it was time for the haircut. Then that haircut needed a haircut. I added another row of split stitch in a darker brown to get more definition between the body and the tail, and I’m pleased with how he turned out. His belly is also Turkey stitch, but with a much more severe haircut. I like the contrast. Another aspect of this that I worked out as I went was the lettering, and I’m very happy with how it turned out. Forgive my blurry photo; I’ll try for a better picture next time. 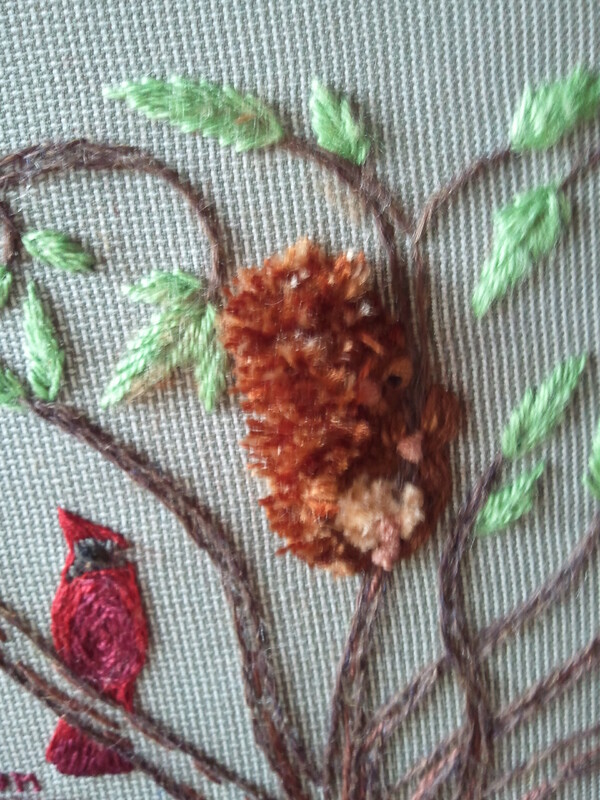 I neglected to take any progress shots, but I still have one date to stitch in, so I’ll remedy that. I chose a font (Bookman Old Style, one of my favorite serif fonts) and printed out the names and dates in 12 point. I then traced them onto tracing paper and cut out squares with the names on them. I basted them into place, then stitched the names over the tracing paper. 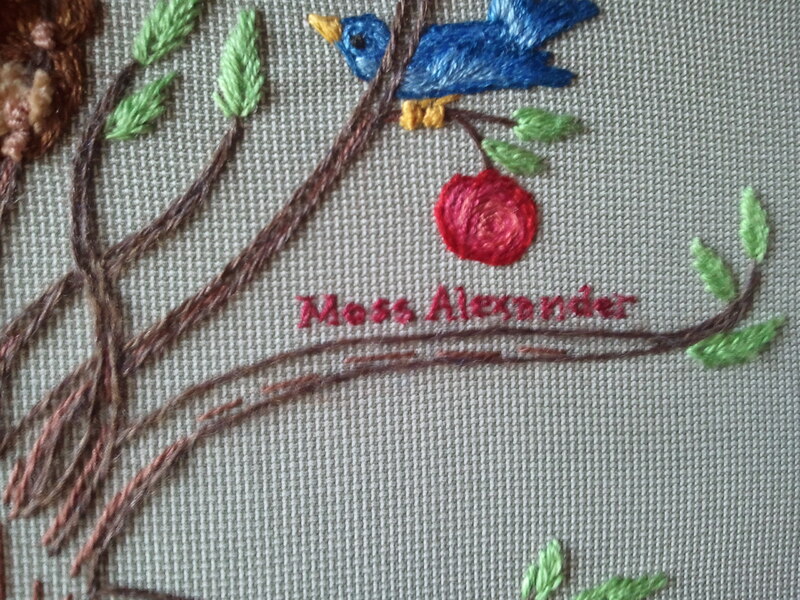 (I used backstitch with one strand of floss.) When I was done, I tore the paper away and filled in any gaps. Next time, I’ll have pictures of the finished project (except for that one date, yet to be determined!) and a few other things I’ve been working on. 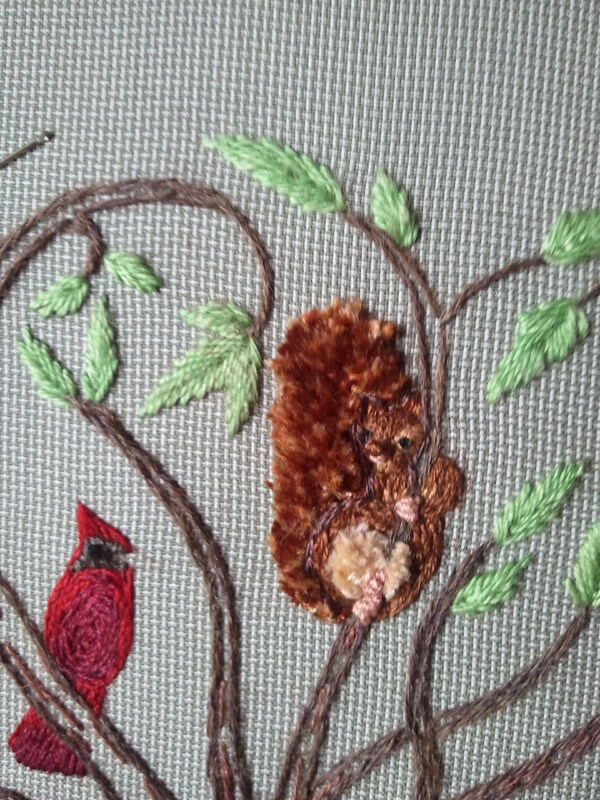 This entry was posted in Uncategorized and tagged embroidery, family tree, surface embroidery, Turkey work, wool by Rene. Bookmark the permalink. 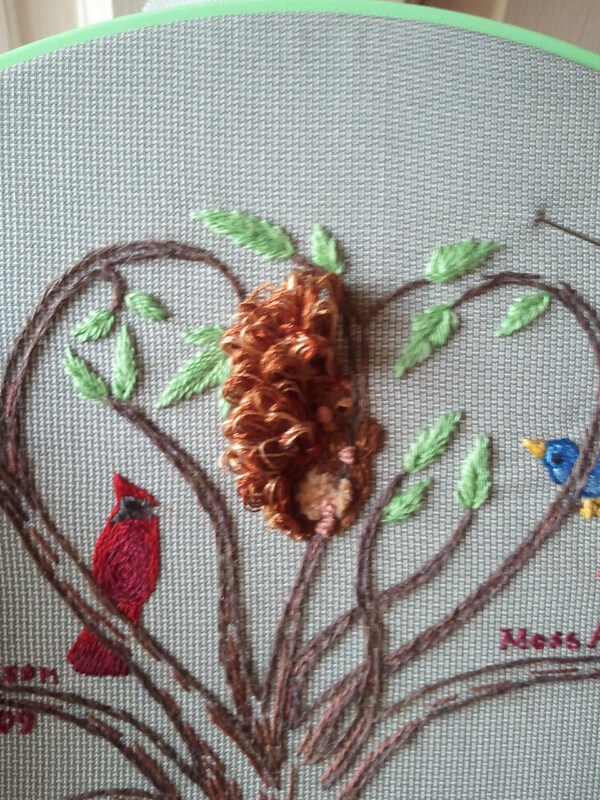 This is so beautiful and I think the Turkey stitching worked so well! I hope everything is alright, you’ve been missing in action for a while. If you’re going to have an excuse, that’s the best one! Congratulations to you all!